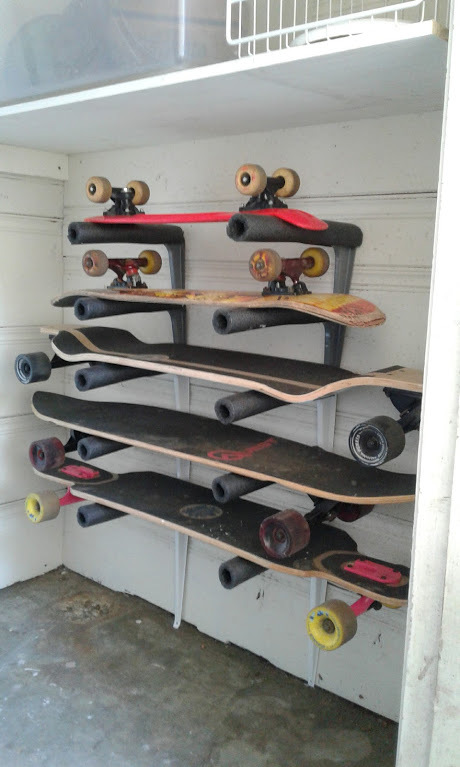 Here’s a pretty neat idea I stumbled upon when trying to organize the kid’s skateboards. 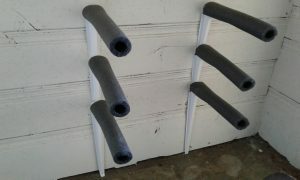 I happened to have some leftover shelf brackets and some pipe insulation. The stars aligned when I saw how easily the brackets nested together. The foam I used was 3/4 pipe insulation. It’s available for about $1 for a six foot piece at the hardware store. It takes about one foot of foam per bracket, and two brackets per board. 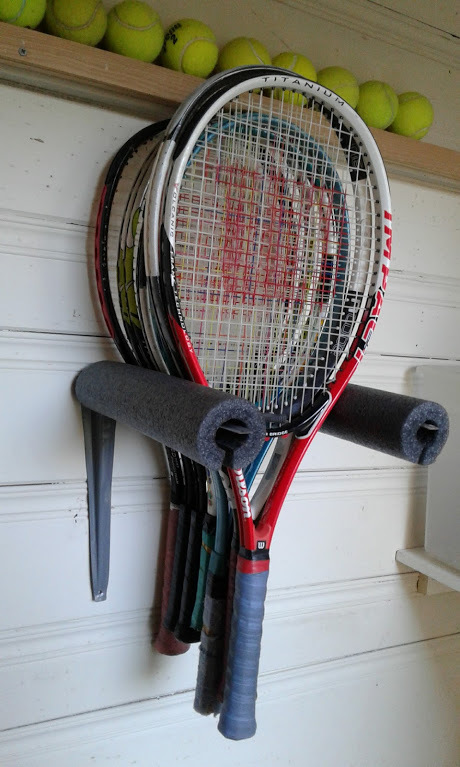 I spaced them about 14″ apart horizontally. 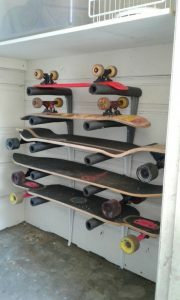 If you are hanging longboards, you can probably put them on stud centers (16″ apart). Vertically, they need to be spaced so that the wheels don’t touch the other boards. For mine i used about 6″ spacing vertically. 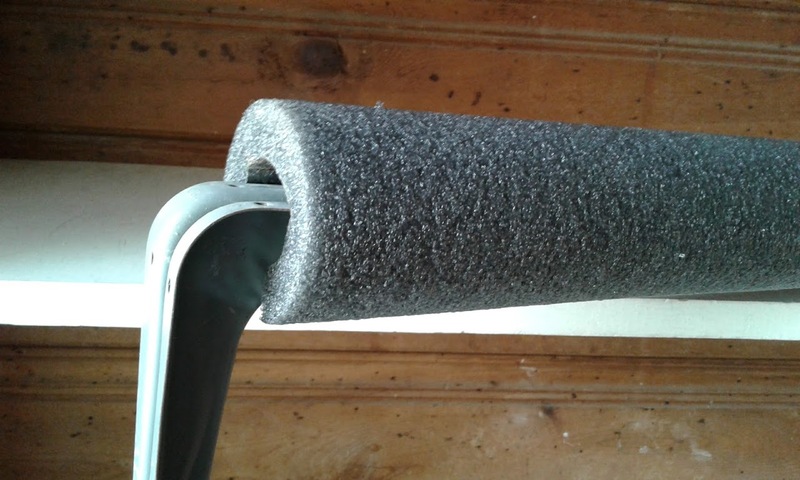 As you can see in the photo, boards can be put on upside-down if the wheel spacing isn’t quite right or if you just want to show off the board art. What’s also cool is you can use the same idea for a really nice tennis racquet rack. Just space the brackets a little closer together.